Provide skin with the care it needs with the Vichy Slow Âge Day Cream; a protective moisturiser developed for normal to dry and sensitive skin types. 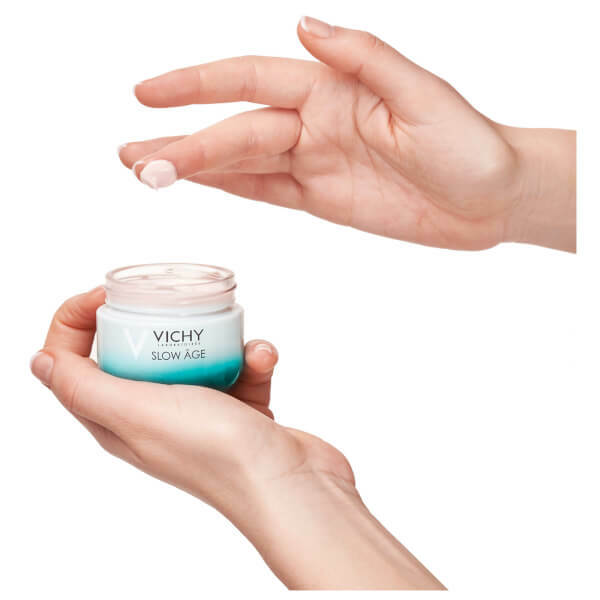 Enriched with antioxidant Biacalin, probiotic-derived Bifidus and the signature Vichy Mineralising Thermal Water, the day cream effortlessly smoothes over the visage, enveloping skin in a veil of essential and long-lasting moisture. 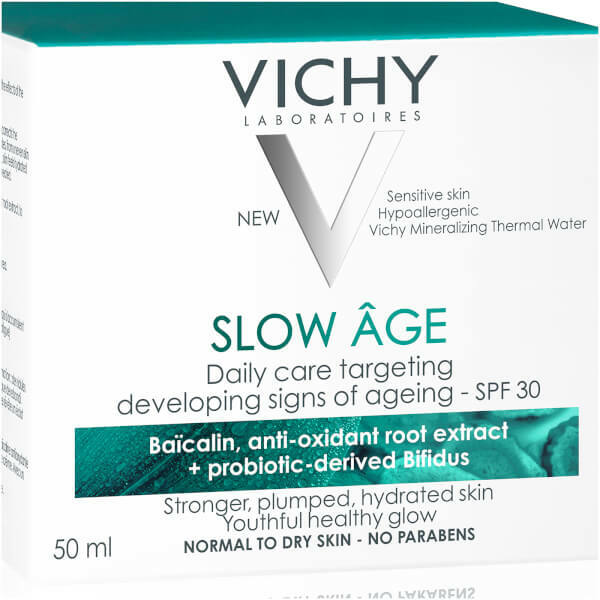 The rich formula is also clinically proven to decelerate visible signs of ageing, ensuring the complexion appears smooth, supple and enviably firm. 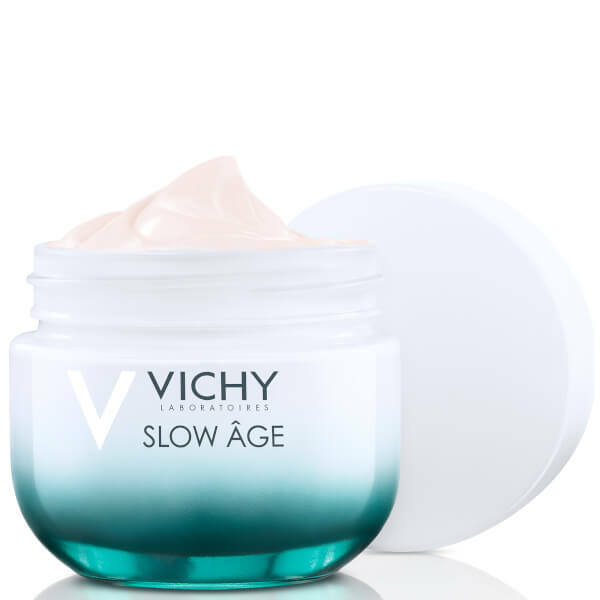 The effective moisturiser is complete with SPF30, meaning that the cream not only shields skin from environmental and lifestyle factors, but protects the face from damaging UV rays, which can lead to premature signs of ageing. 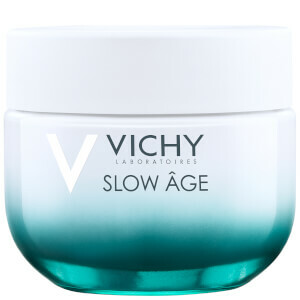 Expect a comfortably hydrated visage that is youthful, visibly even and radiant. Aqua / Water Octocrylene Glycerin Homosalate Ethylhexyl Salicylate Bifida Ferment Lysate Alcohol Denat. 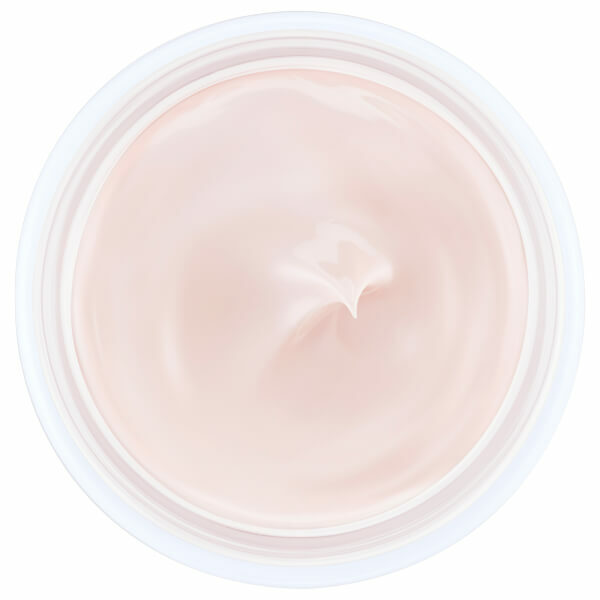 Butyl Methoxydibenzoylmethane Dimethicone Sucrose Tristearate Pentaerythrityl Tetraethylhexanoate Silica Tocopherol Isopropyl Lauroyl Sarcosinate Synthetic Wax Polysorbate 61 Cetyl Alcohol HDI/Trimethylol Hexyllactone Crosspolymer CI 17200 / Red 33 CI 77891 / Titanium Dioxide CI 77491, CI 77492, CI 77499 / Iron Oxides Stearic Acid Dimethicone/Vinyl Dimethicone Crosspolymer Dimethiconol Triethanolamine Parfum / Fragrance Sodium Stearoyl Glutamate Sodium Polyacrylate Sodium Hyaluronate Myristic Acid Sodium Benzoate Palmitic Acid Phenoxyethanol Ammonium Acryloyldimethyl Taurate/Steareth-25 Methacrylate Crosspolymer Ammonium Polyacryloyldimethyl Taurate Ascorbyl Glucoside Disodium EDTA Dipotassium Glycyrrhizate Capryloyl Salicylic Acid Caprylyl Glycol Scutellaria Baicalensis Extract / Scutellaria Baicalensis Root Extract Menthoxypropanediol T-Butyl Alcohol Poly C10-30 Alkyl Acrylate Poly C10-30 Alkyl Acrylate.